When Flies Are Out of Control - Yes Pest Pros, Inc. 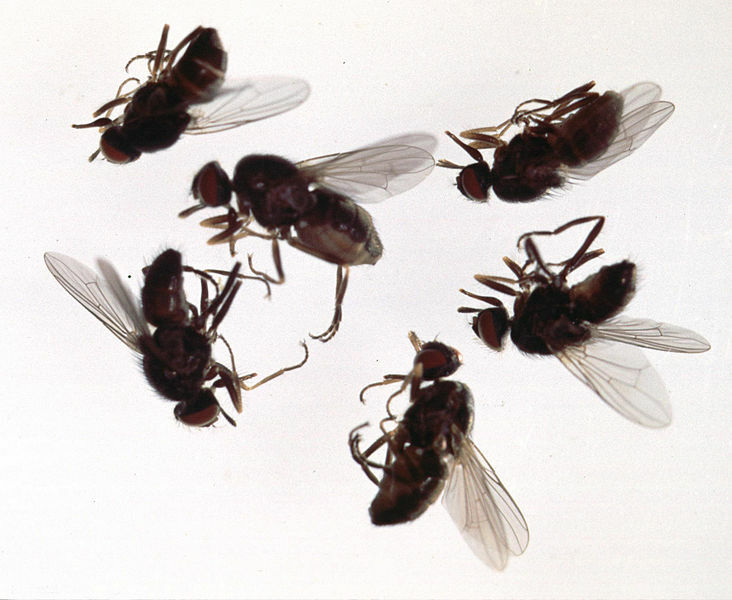 When Flies Are Out of Control - Yes Pest Pros, Inc.
That can be one of the top questions someone might have when they realize that there is an uncomfortable number of flies in their house. During warmer months, flies will once again begin to emerge to buzz around, bite, and annoy people and animals alike. These insects can carry any number of diseases, making them a very unwanted guest. But how did so many get into your home? We’ve all experienced those moments where a door is opened and a fly cruises in. Multiple flies are different. If there are so many in your house at one time, chances are a female laid eggs somewhere and now they have all hatched. The new problem is taking care of these flies before any females in the group can do the same. Getting flies under control can be surprisingly difficult. You could kill off all of the flies except one, and if that one is a female and lays eggs, then the problem will start all over again. It is not just a matter of getting out the fly swatter and swatting them all to oblivion. Or perhaps the problem is not inside of your house, but outside. Swatting then won’t do you much good. Neither will poison. Insect sprays will kill the insects nearby, but if they can escape or breed before you finally get them, the problem is not solved. In order to get flies under control, you need to identify the environment they are thriving in. One of the most important things you can do is to figure out where flies have been depositing eggs. In the garbage can inside? Garbage outside? Sometimes it can be something unexpected like a pet’s food bowl. Maybe while grilling outside a chunk of meat didn’t quite make it from the plate to the grill. If this location isn’t cleared up, flies will continue to use it and continue to pester you. If you don’t know where to look and are too frustrated, then call an exterminator. They will inspect your house and outside areas from top to bottom. When they discover the problem they will take care of it and use any necessary methods to remove the current flies. Put your trust in a Bloomington pest control company that uses eco-friendly methods to manage pests, leaving you, your family, and your pets safe, healthy, and no longer worrying about flies. Why Are There Flies In My Restaurant?